Mediation can help two parties resolve their differences and retain control of the outcome in a neutral setting. Two individuals can mutually shape their own cost-effective, informed, voluntary, confidential, resolution to their dispute calmly, without airing their dirty laundry in open court and leaving with a judge ordered decision following a contentious, emotional, damaging and costly trial. No decisions are made for the parties, they craft their own resolution. No one will be forced to settle. Both parties have the opportunity to assess the strengths and weaknesses, risks and rewards of their position and reach a solution that best fits their business and/or personal interests. 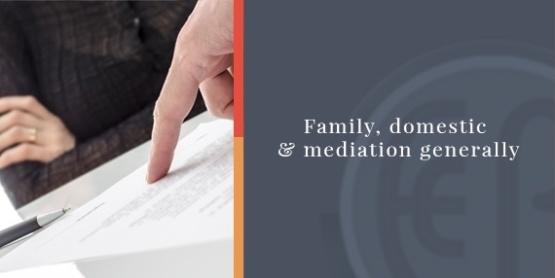 Mediation can resolve custody, visitation, child support, alimony/spousal support and community property partition disputes. 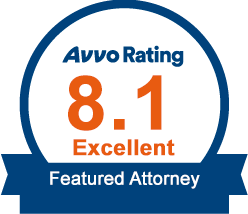 Mediation can take place in your attorney’s office, in our offices in Covington, or an office can be reserved in New Orleans. Ellen Cronin Badeaux, LLC, offers a two-hour minimum mediation up to several days, if necessary. It can be scheduled 9:00 a.m. – 5:00 p.m. Monday – Friday or on weekends if convenient to both parties, their attorneys and other experts who will attend. Mediation actually begins before the parties meet the mediator. Their attorneys prepare a position paper addressing each issue. The individuals them meet for a joint session laying out the process. The parties are then sequestered and present their perspectives to the mediator. The mediator meets separately with each party to move toward a mutually agreeable, mutually beneficial resolution without combative confrontation. Mediation is not appropriate in cases where a criminal charge of domestic violence is pending or a petition for protection from domestic abuse has been filed. Ellen Cronin Badeaux, LLC, has 23 years of experience practicing family/domestic law in the cities of Amite, Baton Rouge, Bogalusa, Chalmette, Clinton, Covington, Denham Springs, Donaldsonville, Franklinton, Gonzales, Greensburg, Gretna, Hammond, Kenner, Livingston, Madisonville, Mandeville, Metairie, New Orleans, St. Francisville and Slidell in Ascension, East Baton Rouge, East Feliciana, Jefferson, Livingston, Orleans, St. Bernard, St. Helena, St. Tammany, Tangipahoa, West Feliciana and Washington Parishes. Call us at 985-892-1955 to schedule mediation.